As a result of a challenging economic environment, the Chancellor has tightened the screws on a number of sectors and trading types. One sector that has been bombarded by changes is landlords and property owners. 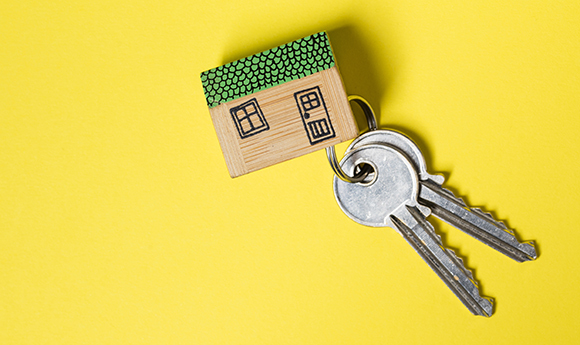 In this article, we endeavour to summarise recent tax-related changes that affect people letting out or selling residential, second properties. In the recent Autumn Budget 2017, the Chancellor announced that landlords would have a choice when calculating their motor running expenses. From 6th April 2017, landlords can now opt to use mileage rates to calculate their allowable deductions for motoring expenses, or stick with deducting actual running costs and claiming capital allowances. HMRC's impact note on the announcement states "It [mileage] will not be available to landlords who are companies or in mixed partnerships (a partnership with both individual and non-individual members)." However, we have received confirmation from HMRC that existing legislation allowing companies to reimburse employees and directors for appropriate business mileage is unaffected by this change. When an asset is sold for a profit, part of the increase in its value is due to inflation. When calculating a capital gain for a company, you effectively calculate what the original cost would be worth in today's money. This is called indexation. Indexation allowance for companies has continued to apply since 1982, but it will now be frozen from January 2018. Buy-to-let lending legislation has also changed. In October, new rules introduced by the Prudential Regulation Authority made it more complicated to obtain lending to finance the purchase of an investment property, because lenders were forced to look at the feasibility of the entire portfolio; not just the property in question. As part of the Autumn Statement in 2016, the government announced plans to ban letting agent fees for tenants in England. Currently, tenants are usually billed for tenancy agreements, referencing and credit checks. A draft bill has recently been laid before Parliament so if the government proceeds with the ban, it is likely to come into effect in 2018. You can get up to £1,000 a year in tax-free allowances for property income from 6th April 2017. If you own a property jointly with others, you’re each eligible for the £1,000 allowance against your share of the gross rental income. If you’re already registered for Self Assessment, you can claim the allowances by deducting them from your gross property on your tax return. You can’t deduct any other expenses or allowances if you claim the property allowance. You can change which approach to take from year-to-year. If you aren’t in the tax return system, you don’t need to register provided your property income is below £1,000, but you would need to keep records of your income. You can of course opt to complete a tax return if you have a loss to declare, which would make it easier to claim the loss in the future. Capital gains tax arises when you make a “gain” when you sell or dispose of an asset. Normally, capital gains tax is charged at 10% or 20% depending on your tax rate, and capital gains tax transactions are reported on a tax return so you have 10 months from the end of the tax year to file the return online and pay any tax arising. From April 2016, new rates of capital gains tax were introduced that only apply to residential property that isn’t your home. If your gains are within the basic rate band, 18% is now charged on residential property and 28% on any amounts above the basic rate band. The government has also announced their intention to shorten the window for paying the capital gains tax on such transactions. But in the Autumn Budget 2017, it was announced that the introduction of the 30-day payment window for capital gains tax to be paid on residential property would be deferred until April 2020. From April 2017, the offset of mortgage interest available to higher rate taxpayer landlords will be gradually reduced to the basic rate. Under the four-year withdrawal of the relief, in 2017/18 landlords will only be able to apply the existing relief rules to 75% of their finance costs with the remaining 25% using the basic rate reduction. The following three years will see the proportion change by 25% each year before the basic rate cap applies in full from 2020/21. Landlords who have small borrowings or are basic rate taxpayers, will be unaffected by the change. However, those who took advantage when access to finance was more relaxed, could be hit by the fall in their tax-deductible expenses- and therefore a rise in their tax liability. This restriction applies to individuals owning properties – not companies. Corporation tax is currently 19% and set to fall to just 17% by 2020 under current government plans. Operating as a limited company may look attractive. However, the tax-advantages of being paid dividends have been slashed and there may be stamp duty and capital gains tax, so it is important to seek advice if you’re considering putting property into a limited company. As of April 2016, anyone buying a second property has been hit with a 3% surcharge.This means for someone buying a property worth £175,000 they’ll pay £6,250 rather than £1,000. The surcharge is probably one of the most severe changes for individuals who own more than one property. From April 2016, the annual Wear and Tear Allowance was removed. This Allowance served to reduce property income and was available against lettings of furnished, residential properties. It was intended to account for the deterioration of the fixtures and fittings. Instead of the Wear and Tear Allowance, landlords are now able to deduct the actual costs they incur on replacing furnishings in the property, but no tax relief will be available on the initial cost of furnishing a property. This relief is available to unfurnished and part-furnished properties, as well as fully-furnished. After 18 years of being at £4,250, 'Rent-a-room' relief increased to £7,500 from April 2016. Rent-a-room relief allows you to let out furnished accommodation in your home, tax-free, subject to the threshold. The threshold is halved if you share the income with your partner or someone else. The relief is open to anyone renting out room (i.e. a room or even an entire floor) in their home, whether they own the property or not. It is therefore available to people running bed and breakfasts and guest houses. In the Autumn Budget 2017, the government announced it would publish a call for evidence to establish how rent-a-room relief is used and ensure it is better targeted at longer-term lettings. Your local TaxAssist Accountant can discuss how the changes may impact on your tax position- and therefore your cashflow. They can also review your affairs and help you structure them in the most tax-efficient way that suits your needs.